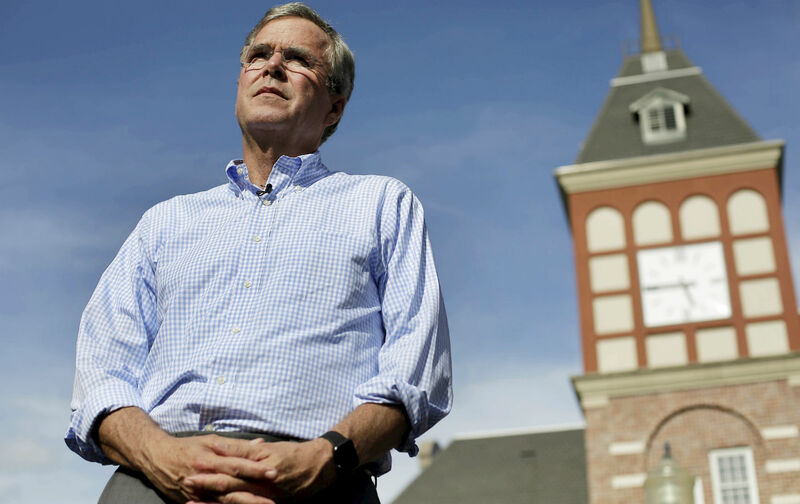 Jeb Bush has unsurprisingly decided to side with bigotry in the case of Washington’s football team’s name. His incoherent reasoning should ring alarm bells for supporters and detractors alike. 1) Amidst tanking poll numbers and nervous donors, when will you put this flailing presidential campaign out of its misery? 2) Is it possible that you aren’t as bright or quick-witted as your brother? That second question was almost unimaginable during Dubya’s disastrous presidency, when Jeb was often described by wistful conservatives as “the smart Bush.” He’s not. This became blazingly clear for me upon reading his supportive comments about the Washington football team’s name. I am not calling Jeb a dullard because he stands with this racist brand. Doing so is a no-brainer politically, which speaks volumes about the current state of the GOP primary race. Calling for the name to change in that crowd would probably make you a party pariah. In addition, there is the knowledge, revealed in July, that team owner Dan Snyder gave Jeb’s Super Pac $100,000, so the opinion of the Bush princeling had already been purchased. But just because I don’t believe that there is a compelling argument to keep the Washington team name, doesn’t mean this position cannot be argued coherently. Jeb could not reach the bar. Damn. For a political party that demands everyone learn English, they might expel Jeb for his opening salvo alone. So politicians shouldn’t “ought to be having any say” about a racist slur that represents the nation’s capital? They blather on about the most personal aspects of our lives, but this is a bridge too far? I guess according to Jeb, elected representatives should keep their opinions confined to the jurisdiction of a woman’s uterus. Well, that’s the most important thing: that the wealthy, seashell-white son of a president doesn’t think it’s offensive. If an NFL owner decided to call a team “The WhiteSkins” and fans wore costumes that mocked Jeb’s beige-and-plaid fashion sense, he would find his voice. If Jeb’s benefactor, team owner Dan Snyder, wanted him to say something about a team called The JewSkins, he would give a Sermon from the Mount against intolerance tomorrow. One might very well say, “Well, there is no team called the WhiteSkins or the JewSkins.” Exactly. As Apu once said to Homer, “I don’t know which part of that sentence to correct first.” Comparing the name “Seminoles” to a racial slur is gobsmackingly obtuse, so much so that at this point I thought Jeb was simply trolling us. He should also probably know that they are the Seminole Nation, not the Seminole Tribe. That basic ignorance of nomenclature only matters because he claims to have worked so closely with them. And lastly, the Seminole Nation of Oklahoma—where the majority of Seminoles live—wants FSU to change the name. Their voices never mattered to Jeb or the officials at Florida State. “For crying out loud,” as Charles Blow pointed out this morning in The New York Times, is Jeb’s verbal tic of choice when saying something foul. It’s his signifier that shows the Bush mental yogurt has been left on the radiator too long and is starting to turn. In this case, for crying out loud, it’s not just “a football team,” it’s a billion-dollar brand. For crying out loud, it’s a team name that is historically linked with the literal scalping of Native American heads by poachers. For crying out loud, the American Psychiatric Association did an extensive study and linked mascot names of this ilk to child abuse. Jeb either knows nothing about this or doesn’t care. It’s a coinflip. On that first note, I don’t think “huge” quite cuts it, given the way fans have fled this club in droves during the Dan Snyder era, turning their stadium into “almost like a home game” for opposing teams. Merchandise sales have also plummeted because of all the losing, but a lot of people, upon seeing commercials like this, don’t want to be associated with either the brand or something Dan Snyder thinks is cool. The end results are clear. Based upon the syntactic, political, and factual incoherency that defines Jeb Bush, it is clear he is utterly unsuitable for higher office. Jeb needs to find something else to do. 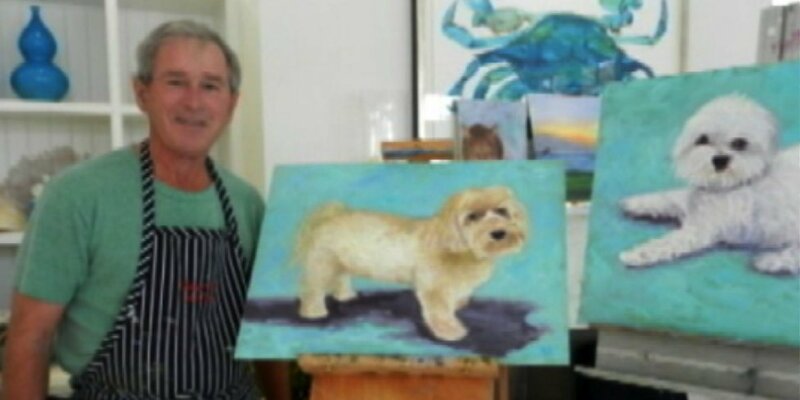 Perhaps he could paint.